I must admit that I am surprised at how quickly my preschooler learns to use new technology. He knows how to unlock my phone pattern, use the TV remote, and play music on the iPod. We do try to limit screen time, but technology has become so ingrained in our lives that it’s difficult to do so. We’re now connected online through so many screens. I think the not too distant future could be one where all our home appliances and other devices are controlled through a single portable screen. Our kids are a part of that future, and will interact with technology in ways we can’t imagine. How do we prepare them for that future? Or more specifically, how do we equip them to use emerging technology to their advantage? One way to do this is to give them the power of programming through coding. Coding is no longer seen as the domain of programmers in cubicles. In fact, coding is simply using a pre-determined computer language to develop a program that functions the way you want to. When children learn coding, they may start with basic tasks like making a cat jump or sleep. The idea is to teach them that they can use code to manipulate what happens on the screen in front of them. 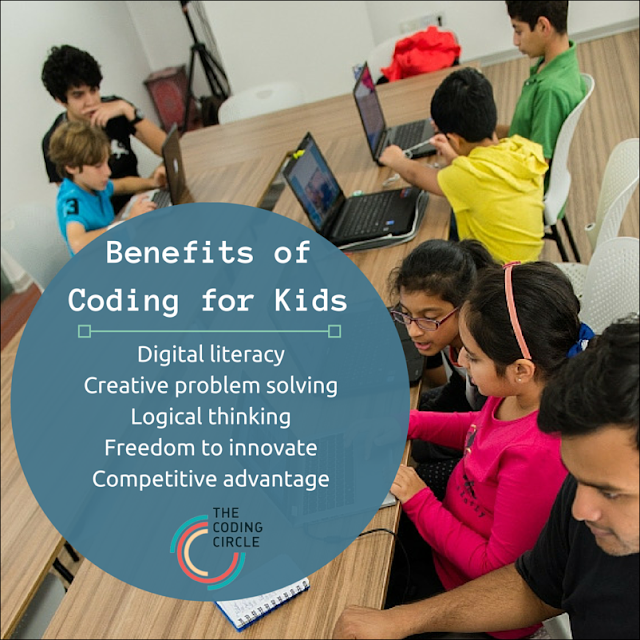 There are already coding programs such as Scratch and Tynker which allow kids as young as five to code. These are also available in the form of phone apps. Older kids can use programming language to develop their own apps and programs. Think about it – there are over three billion devices around the world which use Java, a computer program. Through coding, we can unite our future citizens of the world to communicate in a language that will help them collaborate and innovate. In a connected world, language is not limited to the spoken variety. It’s as important to know how to navigate online and mobile media, and also have the skills to develop on these platforms. Programming is an exercise in which creative solutions have to be used in order to attain set goals. Often, a code is developed to solve a problem. For instance, kids can play a role in developing apps that help organize their homework. This is another important aspect of the all-round development of a child. Logic and programming go hand in hand. It also helps kids think of alternate possibilities in order to develop solutions in advance. Once they hone their logical thinking skills, you will see a marked improvement in subjects like mathematics and science as well. Coding gives kids the power to create what they dream of. Whether they use their programming skills for artistic purposes, or to build inventions, there is an enormous world of possibilities before them. Coding improves your child’s chances of excelling in a technology driven world. It gives them a headstart in ways that will make them digital natives, rather than followers. If you’re in Dubai, here’s a wonderful opportunity to give your child the tools to survive and excel in the digital age. The Coding Circle is an education company envisioned by four tech and programming experts. The company aims to teach children everything from the basics to expertise in web design, programming and mobile app development. Their courses are developed for kids aged 10 and above. As students progress from one course to the next, they gain proficiency in coding. The classes offered at The Coding Circle are based on the STEM principle, where the focus is on learning through doing. So, you can expect the classes to be fun, collaborative and project-oriented under the guidance of professionals. The company started classes in summer last year, and has just announced its two new courses beginning November 7. Building on the Introduction to Web Development course, this two-part intermediate course introduces students to general-purpose programming languages, web development frameworks and server deployments. Specifically, students will learn the Python programming language and the Django framework used in developing popular web applications. Intermediate Web Development Part 2 will be offered in early January next year. Upon completing this two part course, students will learn the basics to build their own social media or e-commerce website. The Coding Circle is located at The Bureau Dubai, and had partnered with companies such as Facebook, Google, Cisco, and Uber. It is also present in London and Jordan, apart from the UAE. For more information on The Coding Circle courses, please visit their website, follow them on Facebook, or call +971-4-427 2107.